Each day we see the world around us and we become accustomed to the way it looks to our naked eye. We would be shocked at the way ordinary things look when magnified 20 or 30 times. Something as common as the back of your hand, which we look at hundreds of times per day looks completely alien under magnification. 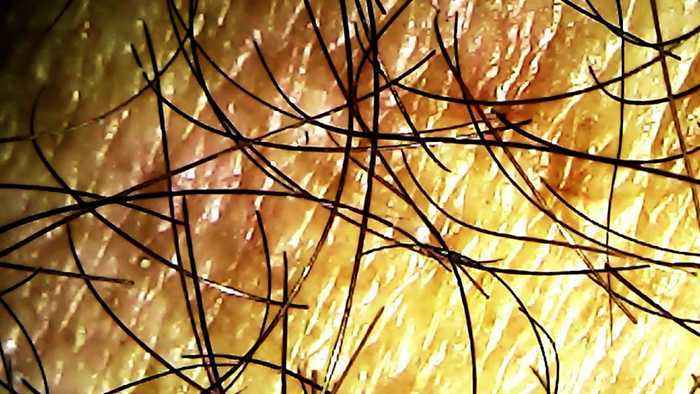 Hairs that appear light in color to the naked eye are dark when magnified. Instead of being round and fine, they look coarse and flattened. Smooth skin is rough and textured under magnification. Hair follicles and wrinkles are clearly visible. Even the color of the skin is not as uniform as it appears to the naked eye. Magnification like this allows us to see pores and skin imperfections that we could never see with the our eyes. Parasites and insects resemble monsters from horror movies when viewed under a magnifying lens. Vegetation reveals its incredibly complex structure and composition. Even our food looks completely foreign when we see it more closely. Our world is far more fascinating than we realize when we see the detail of the most ordinary things around us. Incredibly, the microscope and magnifying glass dates back to the 5th century BC and can be credited to the Greeks. Compound microscopes were first used in Europe in the early 1600s. This invention changed our ability to understand the world and has been responsible for serious medical breakthroughs. Biologists made huge leaps in their studies when they were able to study organic material under high magnification. This technology led to the invention of the electron microscope in 1931. This greatly increased magnification and resolution. Advances in this technology have been crucial for the development of pharmaceutical treatments, cancer research, surgical procedures, and medical imaging, to name a few. Some flimsy, fanciful fun creatures have arrived at the Aquarium of Niagara. 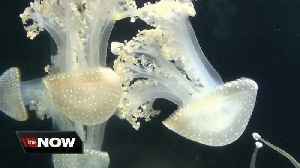 The exhibit called &quot;Aliens of the Sea&quot; features four varieties of Jelly Fish. Executive Director Gary..